Happy New Year everyone! We hope everyone has enjoyed the holidays and is now ready to get some riding in. Why? Because Shred Love’s 2014 Learn to Ride session kicks off this month! Our dates this year are Sundays: January 26th, February 2nd, and February 9th. Due to the Super Bowl being held in New Jersey this year (blah! ), we have to schedule an alternative event. Some of the board members have suggested bowling or ice skating, however we would like to you hear from our riders and their parents/guardians, before we finalize our plans for 2/2/2014. What would you like to do? The event must be local and be completed by 4pm. Our Learn to Ride program is the same as every year. Students do not need to know how to snowboard to register, but must commit to attending all of our dates. 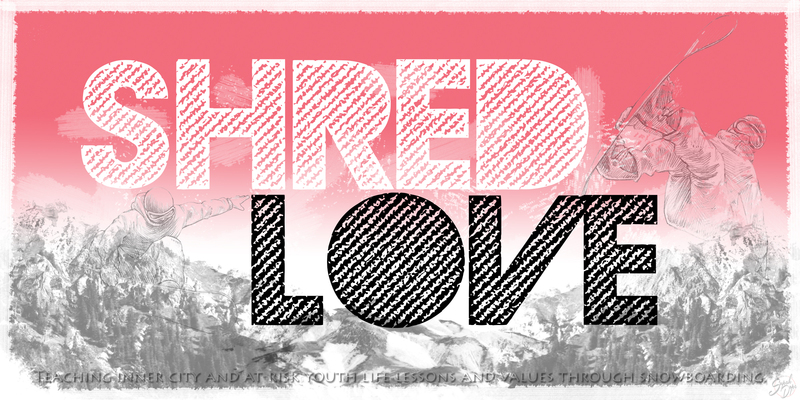 Shred Love is open to girls and boys, ages 8 – 18 years old. All participants must bring lunch or money to buy their lunch at Windham Mountain. A slice of pizza and juice is approximately $10. Parents will receive a text message when we are approximately an hour away from our pickup/drop-off location. Parents, please be prompt will picking up students! Our Learn to Ride program is free to our participants. We only ask that you consider making a donation to help cover the costs to run this program. Transportation costs alone for each participant is $112. Donations of prepackaged snacks, breakfast foods, juices, water, napkins, and monetary donations are greatly appreciated (and tax deductible!). If you would like to volunteer for any of our outings, please send us an email at volunteer@shredlove.org/wordpress. All participants will receive snowboard pants, gloves, face masks, goggles, lift tickets, and rental equipment (snowboard and boots). All lessons are instructed by Windham Mountain’s instructors. Permission slips will be emailed on Wednesday, 1/22 and must be signed prior to student boarding the bus. Students must bring lunch or buy lunch at the mountain. Click here to register now! Use session number 2206 and select Shred Love as your youth agency. Please feel free to email me at eroyster@shredlove.org/wordpress with any questions and/or concerns you may have. This entry was posted in News and tagged Elizabeth Royster, learn to ride, nonprofit, nonprofit youth snowboard, shred, shred love, shred love 2014, snow, snowboard, windham mountain, winter, youth, youth snowboard. Bookmark the permalink. Hi Liz, I’m interested in going ice skating for February 2.